When your teeth grow crooked or misaligned it is not just a cosmetic issue, but one that can affect your overall health as well. Misaligned teeth can affect your biting area, causing pain and discomfort. Orthodontics can help to correct teeth. Orthodontic work realigns teeth and can be worn at any stage in life. 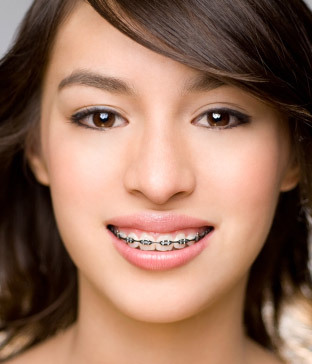 You don’t need to be a child to receive the benefits of braces. They can improve the quality of your life no matter your age. Dental Health Centre uses traditional metal braces or clear braces (brakets), but also has advanced Invisalign braces. Invisalign is a set of clear, plastic aligners that straighten teeth without the hassle of metal braces when eating and cleaning. Invisalign braces are removable, but you will have to come into the office often to be fitted for a new set of aligners. Braces can change your life, don't hesitate, contact us today.